There are few places in the world that beat Kurumba Maldives for showcasing the Kate Negus Lifestyle Collection ahead of Spring/Summer 2019. We explored the stunning island recently and you can read all about this family-friendly, luxury resort in our travel pages. During our visit, we made the most of the glorious sunshine and the crystal-clear seawater to style a shoot that features some of our top picks from the collection. The Pau remains a firm favourite and we fell in love with this bag as soon as our Editor partnered with Kate Negus as an ambassador. The metallic styles are beautiful. Meanwhile, the organiser wallets are brilliant for travelling. They are stylish but helpful too because you can organise all of your essential documents and cards easily. The organisers are really versatile and they also work well as clutch bags. There are lots of different colours available to suit the trends on the catwalk and they are easy to carry. Aubergine, black and blush are among the different shades you can buy. 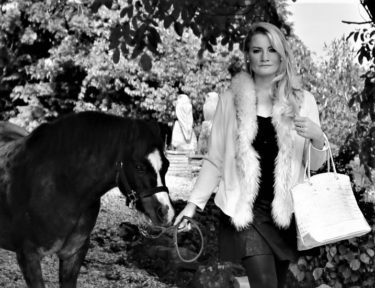 Staying with the travel theme, the holdall is a fabulous weekend bag. It has a sophisticated, yet casual style. It works really well as hand luggage and is ideal for taking on a plane. 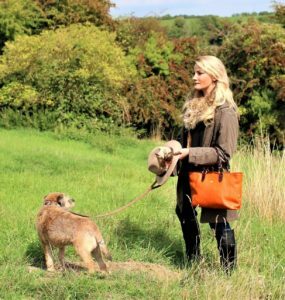 With the arrival of spring, the Firebird Bramham bag will brighten up your wardrobe. 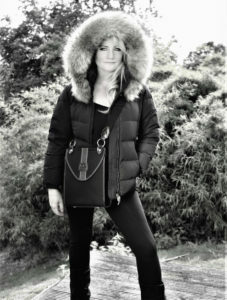 We featured this bag in our autumn shoot but it will suit the sunnier days ahead just as well. Read all about Kurumba Maldives here and view the Kate Negus Lifestyle Collection here.